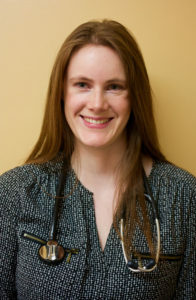 Dr. Mollie Brennan is a registered naturopathic doctor who graduated from the Canadian College of Naturopathic Medicine. She completed a Bachelor of Science in Biochemistry-Nutrition at Memorial University of Newfoundland, and a Holistic Nutrition diploma from the Canadian School of Natural Nutrition prior to pursuing naturopathy in Toronto. Mollie treats busy families including stressed parents and caregivers. She has experience treating anxiety/depression and chronic fatigue, with a focus area on Autism Spectrum Disorders and paediatric neurodevelopment. She is dedicated to working as a part of your healthcare team to address yours and your child’s needs.